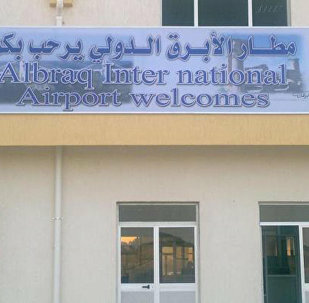 BAYDA (Sputnik) - Al Abraq International Airport east of Benghazi in east Libya has reopened after two-year repairs, head of the transport minister's office in the eastern parliament Ahmed Abu Qassim Shibli told Sputnik on Thursday. CAIRO (Sputnik) - Sudan's transitional military council said Thursday it plans to hand over executive powers to civilian structures, Al Arabiya reported Thursday. 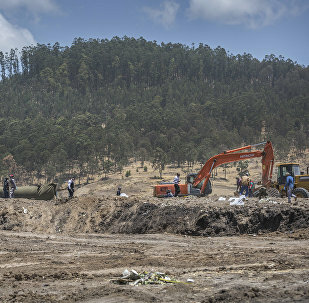 Families of the victims of the Ethiopian Airlines crash on March 10 in Addis Ababa are still not in possession of their loved ones’ personal effects and remains due to what they call inadequate recovery operations. On Tuesday, Egyptian President Abdel Fattah Sisi, who is the current president of the African Union, convened an unscheduled African summit to discuss the political crisis in Libya. However, Sisi did not outline a definite position on the issue and refrained from condemning Khalifa Haftar, leader of the Libyan National Army. KHARTOUM (Sputnik) - The Sudanese Transitional Military Council could have a consultative, monitoring, or legislative role within the transitional government, the head of the council, Abdel Fattah Abdelrahman Burhan, told Sputnik. KHARTOUM (Sputnik) - US Deputy Assistant Secretary for African Affairs Makila James held a meeting with Sudan’s Transitional Military Council (TMC) chief Abdel Fattah Abdelrahman Burhan and urged him to ensure a quick transition to a civilian government amid ongoing protests in the African country. Earlier, Libyan National Army (LNA) head Field Marshal Khalifa Haftar announced a start of the second stage of the offensive on Tripoli. 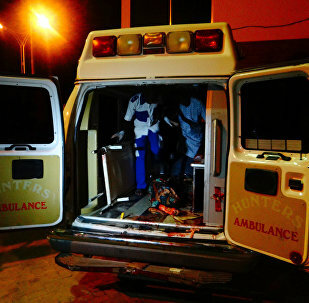 MOSCOW (Sputnik) - At least 11 people were killed, while 30 more were wounded as a car driven by a police officer drove into a crowd in Nigeria, local media reported, citing police. CAIRO (Sputnik) - The national referendum on amendments to constitution that extend presidential term concluded on Monday in Egypt. 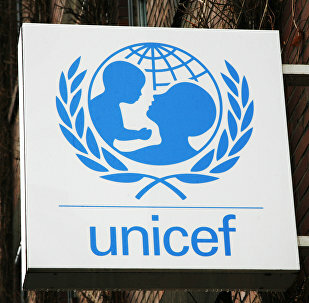 UNITED NATIONS (Sputnik) - The UN International Children’s Fund (UNICEF) said in a statement the organization airlifted eighteen tonnes of humanitarian assistance to Libya. MOSCOW (Sputnik) - Some members of the Daesh State terrorist group have reached the south of Africa after the defeat in Syria, Russian Deputy Defence Minister Gen. Alexander Fomin told the RT broadcaster. 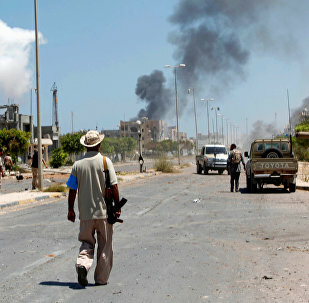 UNITED NATIONS (Sputnik) - More than 32,000 people have left Tripoli and areas surrounding the city since the recent escalation of fighting in Libya, the Office of the United Nations High Commissioner for Refugees (UNHCR) said in a statement. CAIRO (Sputnik) - The Sudanese Professionals Association, one of the key groups behind ongoing protests in the country, said on Sunday that it had suspended dialogue with Sudan’s Transitional Military Council and would continue its action's in the capital. Earlier, Tripoli's civil aviation authority closed and then reopened Libya's only functioning civilian airport amid reports of air attacks in the vicinity of the city. 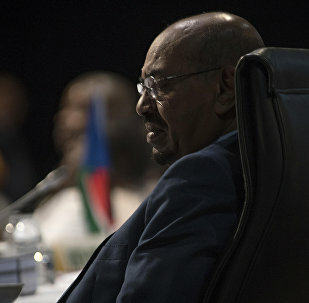 Sudan's former President Omar Bashir was the president for almost 30 years. In mid-April, he was detained by the country's military and transferred to a maximum security prison in Khartoum. According to the latest reports, huge amounts of cash were found in his residence, which may have served as the basis for the corruption charges against him. MOSCOW (Sputnik) - One member of the UN Multidimensional Integrated Stabilization Mission in Mali (MINUSMA), an Egyptian national, has been killed and four others injured in an attack on a MINUSMA convoy in the Malian region of Mopti, a spokesperson for UN Secretary-General Antonio Guterres said. The Libyan civilian aviation authority has closed Tripoli's Mitiga Airport amid residents' reports of an airstrike on the city. The Sudanese military ousted the country's long-time president on 11 April 2019 after months of protests by the country's citizens, demanding his resignation. The protests didn't cease after this, as citizens are now demanding that the military cede power to a civilian government. There are extremely poisonous species of snakes among those living in the country, including black mambas and cobras that could pose a great danger to officials. CAIRO (Sputnik) – The recent talks between US President Donald Trump with Field Marshal Khalifa Haftar, the commander of the Libyan National Army (LNA), show the US recognition of the LNA's role in fighting terrorism, the LNA spokesman, Ahmed Mismari, said in an interview with Sky News Arabia.